For this year’s edition of the SPAN Reader, we explore the visual, virtual, and written culture of Tokyo and Los Angeles through the work of our speakers. 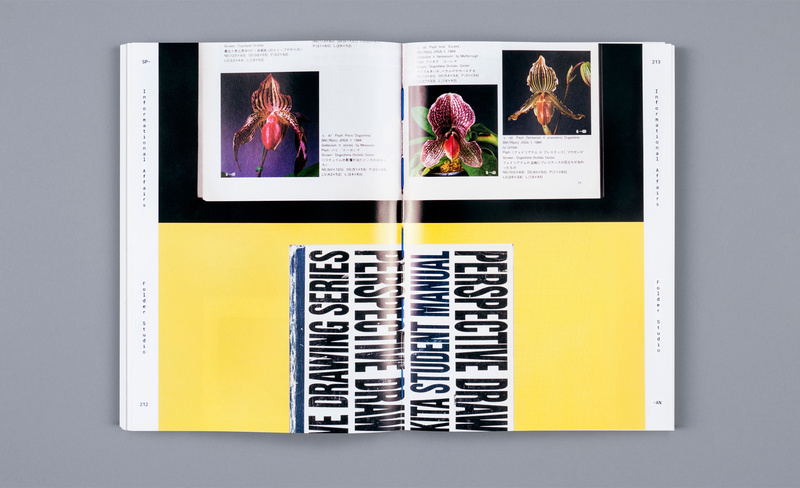 The structure of the book itself—with its exposed and brightly bound signatures, bold use of color, repeated graphic shapes and die-cuts—draws on the thematic and aesthetic ties between the two locations. To acknowledge the bilingual nature of this year’s events, a number of texts appear in both English and Japanese. 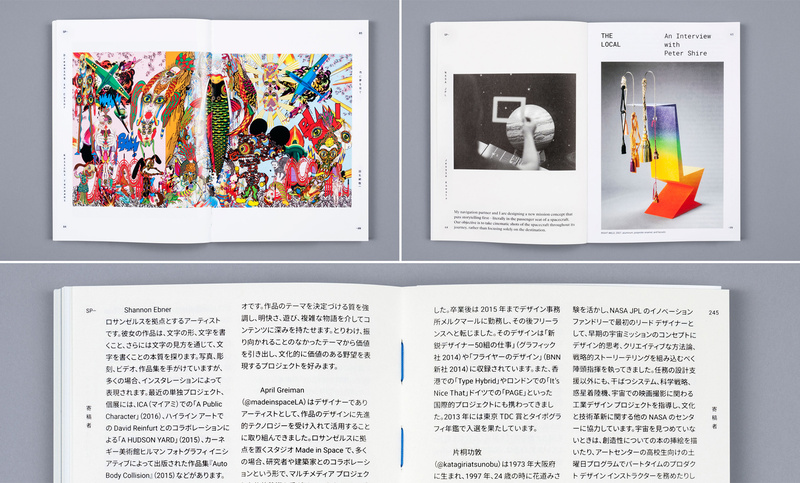 Read our introduction (in English or Japanese below) and explore some of the design details from this year’s SPAN Reader, Vol. 2. Google’s mission is to organize the world’s information and make it universally accessible and useful. It’s at once a tremendous pursuit and a humble aim—one that’s predicated on the idea that Google’s strength lies in its core function of connecting people and sharing knowledge. Similarly, among many possible definitions, SPAN has come to represent design as a method of connection. The idea is suggested in the word “span” itself, either as a maker’s measure denoting the width of the hand between the thumb and littlest finger, or simply as the link between two points. To us, design is about connecting people through a visual means. 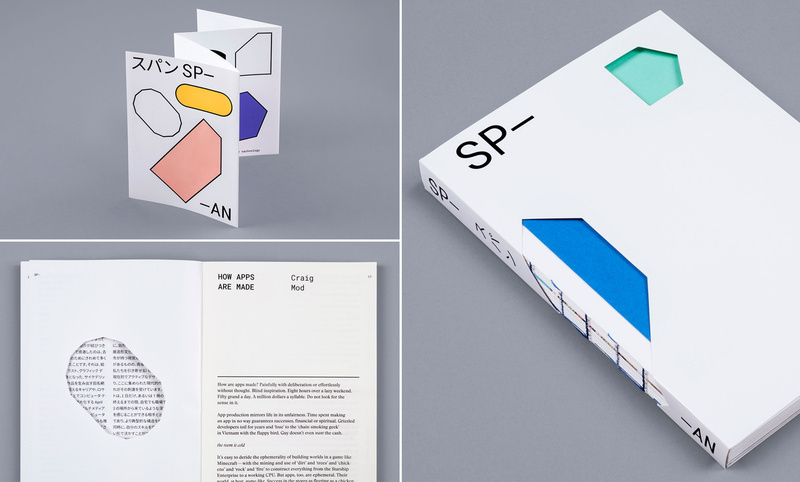 It’s something we do through the visual framework of Material Design, through our efforts to share our own work and ideas and encourage the same from our colleagues, and it’s something we do in publishing a book like this one. As a technology company, we’re keenly aware of the lessons to be learned from studying design practices outside of our immediate focus. In their lesson on designing by hand and eye, craftsmen Jim Tolpin and George Walker elaborate in this volume on the idea of the hand span as a base unit for measuring, reminding us of the importance ancient tools hold in an age of mobile devices. They frame the urgency of their message around human potential: “We believe design by hand and by eye opens the door to the inherent abilities that each of us has, to create durable and beautiful designs that feel right […] by bringing an intuitive, informed grasp of proportion to your eye.” Lifelong artist, ceramacist, and Angeleno Peter Shire puts it a different way when reflecting on the computers that now run his kilns: “We’re engaged with technology, but by the same token, it seems to be very critical to continue with these analog techniques and make the bridge.” SPAN is a conference made by designers, for designers. It’s our opportunity to highlight some of the best in today’s interdisciplinary design practice, and to explore the ways in which design and technology shape our lives, everyday, around the world. With that global awareness in mind, our project spans two cities and maintains a hyper-local focus on learning from and showcasing the design communities in each place. Last year we hosted events in New York and London. This year, we cross the Pacific with Tokyo and Los Angeles. We’ve found that by assembling a group of individuals, each with his or her own unique practice, we start to glean the broader undercurrent of visual culture inherent to each city. This is a territory where Shannon Ebner’s photographs of signage and type found throughout the landscape of places like LA, somehow connect with Bin Sugawara’s more human-scale, performative poetry, which he physically carries through the streets of Tokyo. Where Barbara Bestor’s personal history of how Los Angeles shaped her as an architect, joins critic Deyan Sudjic’s corporate history of how homegrown aesthetics and foreign influences shaped the iconic Japanese technology brand Sony. We were delighted by how much this collection, unlike last year’s, demanded color for its representation—in Keiichi Tanaami’s more than 60-year-career composing psychedelic, Pop art compositions that blend block printing, collage, illustration, and graphic design; or April Greiman’s color-saturated multimedia work, that fragments the aesthetics of computer technology both in print and on a metro station in downtown LA. The aesthetics of computation are lifted by other crosswinds as well—Mike Tyka’s visual explorations with machine intelligence and recurrent neural networks, resolve a radically different image from those of Casey Reas, an artist and professor at UCLA. 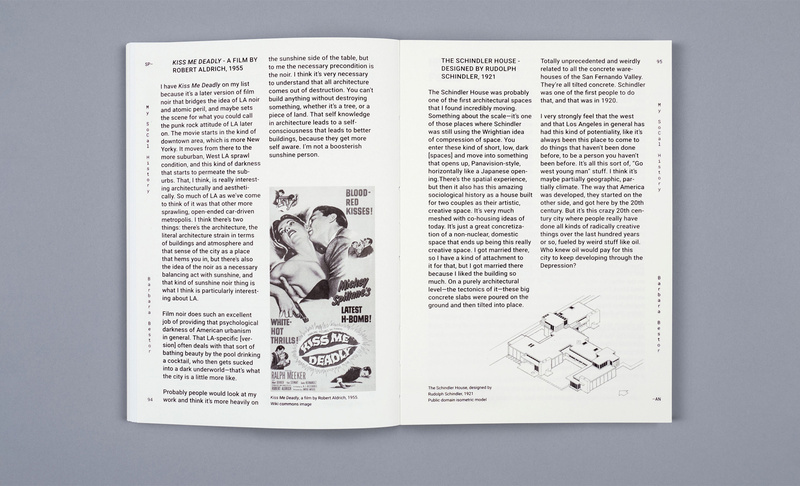 There are even meditations on the linkage between the two cities, with a special collection of lost books, sourced by Folder Studio from dollar bins and second-hand stores in Tokyo and Los Angeles, alongside Alissa Walker’s essay on Pokémon Go as an unparalleled activator of public space and civic engagement worldwide. These are some of the connections we’ve drawn in assembling this collection. Now we invite you to forge your own and establish new ones. Between Tokyo and LA we find a consistent thread of mutual admiration that resolves and heightens inherent distinctions. Both cities share deep and formative visual cultures, supremely influenced by nature and the landscape, along with photography, cinema, and the screen. And while the timeline for each city’s visual environment differs by centuries, the thing that unites them (and draws us to them), is this very current and active design inquiry that fuels each of the contemporary practices collected here. People with whom, for the length of a day, or even the span of a book, we can feel a deep connection that seems to come from a third place—a shared territory that reorganizes our more typical configurations and puts our skills to new use across cities and time. Be sure to check out our Guides to SPAN Tokyo and Los Angeles, which include a full list of speakers and links to their work, as well as the first edition of our SPAN Reader.